This page is dedicated to my mother, Mary, who was my BEST FRIEND. She was diagnosed with cancer on July 21,1998 and died on August 18, 1998. We never really had a chance to say goodbye to each other and I never reallyhad a chance to thank her for all she had done for me!This page is my tribute to her and that sincere thank you. Thanks, Mom! I love you Dear Mother with all of my heart. It hurts me so deeply to know we are now apart. It happened so quickly like a summers night rain. How could we have known it would all come to an end. I know we'll both be together in heaven one day and you'll be there to greet me in your old familiar way. We'll laugh.....We'll smile..... Then you will say, "Come on in and join me. I've been expecting your stay!" But until that day comes, I want you to know that your the BEST MOTHER IN THE WORLD and I still Love You So! I am home in Heaven, dear one. Oh, so happy and so bright! There is perfect joy and beauty In this everlasting light. All the pain and grief is over. Every restless tossing passed; I am now at peace forever, Safely home in Heaven at last. Did you wonder I so calmly Trod the valley of the shade? Oh! but Jesus' love illumined Every dark and fearful glade. And He came Himself to meet me In that way so hard to tread; And with Jesus' arm to lean on, Could I have one doubt or dread? Then you must not grieve so sorely, For I love you dearly still: Try to look beyond earth's shadows, Pray to trust our Father's Will. When that work is all completed, He will gently call you Home; Oh, the rapture of that meeting, Oh, the joy to see you come! Don't think of her as gone away... Her jouney's just begun. Life holds so many facets... This earth is only one. Just think of her as resting from the sorrow and the tears. In a place of warmth and comfort, where there are no days and years. Think how she must be wishing, that we could know today. How nothing but our sadness can really pass away! And think of her as living in the hearts of those she touched. For nothing loved is ever lost... and she was loved so much! For all those, who have suffered the loss of a motheror any other loss, my heart goes out to you and your family.In those darkest days and hours, I found great love and support fromthe wonderful people at GROWW. They have comforted me and supportedme, and I know they will be there tosupport you. Please visit their beautiful web site. I would also like to give special thanks to my friend, Patrice. It had long been a dream of mine to create this tribute page in honorof my mother. 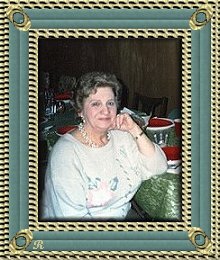 She made that dream a reality to mewith all her help and great patience in helping me create my mother's first web page. 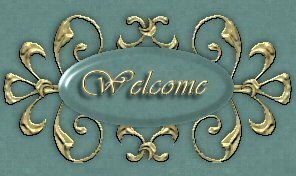 May I also add that I created this web set for my mother, Mary.To view more of my work, please click on the GRAPHICS'S BY ADELElogo button below, where it will take you to my graphic site. Before leaving, PLEASE make sure to sign my guestbook andvisit my AWARDS PAGE to view my awards andalso to apply for my awards. owned by Forever On My Mind.